I am a cat parent and trained my indoor rescue kitten to enjoy walking on a leash. Do Cats Train Like Dogs? 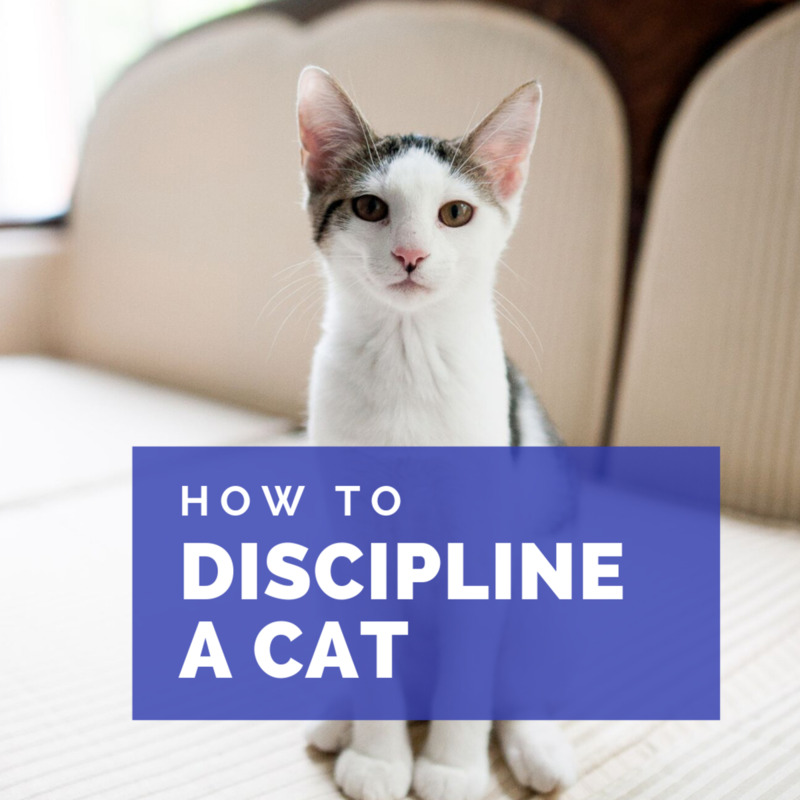 The good news is that you can train your cat and you can discipline them the right way. You are not trying to punish them, but you are training them and helping them to learn how to replicate your likes and not perform your dislikes. Unlike dogs, cats aren't eager to please, but you can get them to repeat desirable versus undesirable behaviors. Never use your hands to discipline your cat. They will learn to redirect on you. Using physical punishment of any kind will only worsen the behaviors and damage your relationship with your cat. 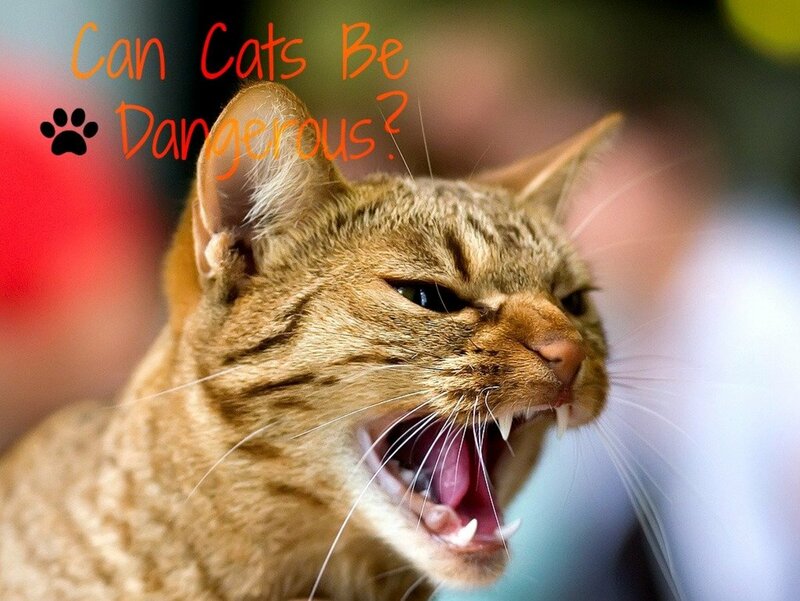 Your cat may also become aggressive and hostile. Do Cats Understand Our Words? Cats will learn to recognize certain words if repeated regularly in identifiable scenarios. Just like your kitty will come to identify his or her name and come when you call them, they will start to understand words or word combinations like "good kitty," "din din" (dinner), "treat," and "no." But more importantly, cats will come to understand your tone of voice. Verbal Queues: "No" and "Good Kitty"
Cats respond well to verbal queues if used regularly and in proper circumstances. For instance, you may want to consider using a verbal deterrent when your cat is doing an undesirable behavior like scratching on furniture. A naturally deterring sound might be a "chhh-chhh, no." This should be said sternly, but do not yell! As you approach your cat, too, consider using a wand or toy to redirect their attention away from the furniture. A positive command like "good kitty" can be rewarding if paired with a treat. 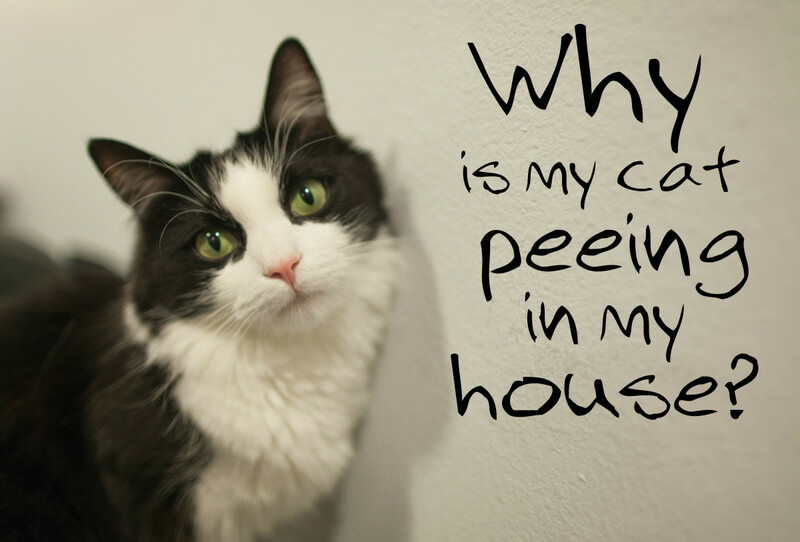 This may be the case if you notice your cat performing a desirable behavior. Cats are more responsive to tone and intention rather than the value of a word. You could essentially use the word "apple" in the same way as you would the word "no" in a disciplinary tone, and your cat would get the message! It's not the value of the word so much as the intention! Yelling at your cat is not effective. 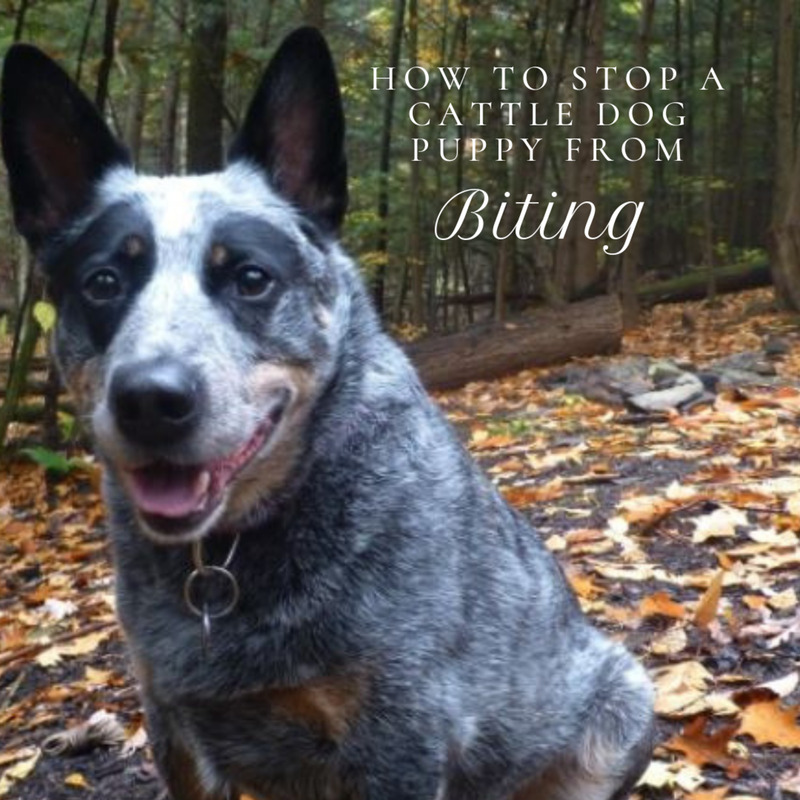 It confuses them and can heighten bad behaviors. It may even encourage them to engage in bad behaviors when you are not looking. When it comes to biting, there's a big difference between an adult cat that bites and a kitten that hasn't learned his or her manners. If your cat or kitten is biting you, it's likely that they think you are a sibling or a play pal. Unfortunately, they may not realize that we don't wear protective fur like they do. 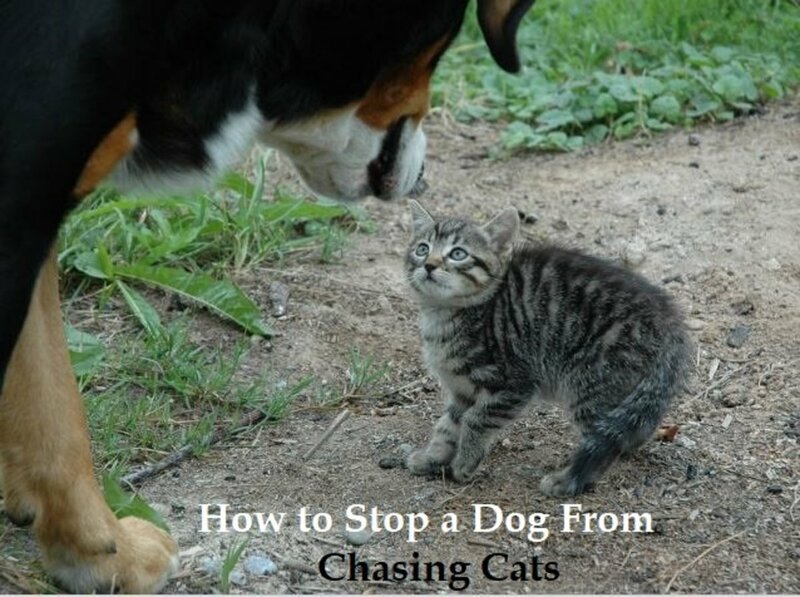 If your kitten is biting you, it's likely because they aren't getting the clues. The best thing that you can do when your kitten is biting is to withdraw! That means to simply get up and move away. Or, you may want to have a toy to redirect your kitten's attention. Their attention spans are short, so toss a toy in one direction or use a long cat wand to engage in play the safe way. For adult cats, you may want to first rule-out a health issue. Arthritic cats and cats with dental issues may simply be grumpy or painful and not want to be touched. Long-haired cats, too, can overheat when being pet and may suddenly bite. 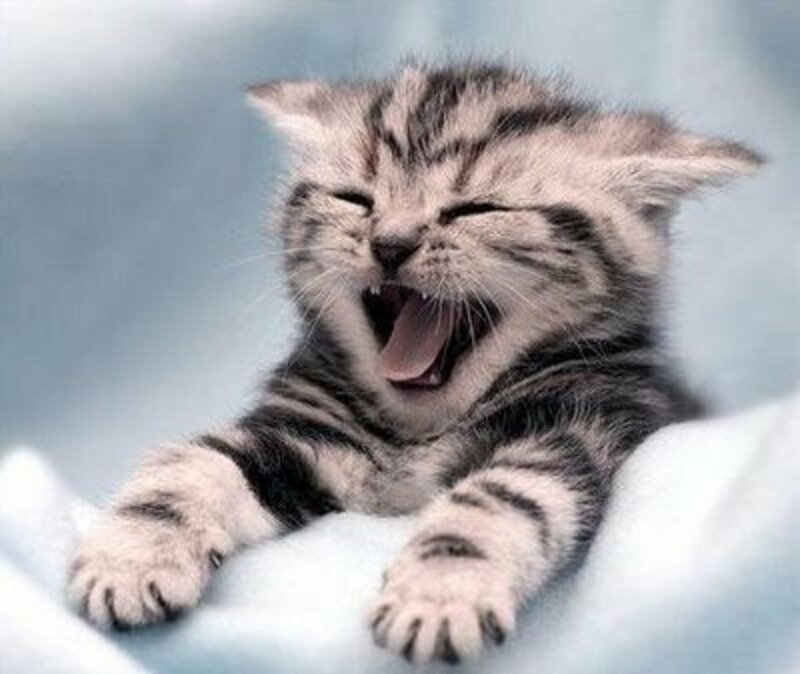 If your adult cat is biting, it may be territory-related (your cat is stressed) or you may not be reading queues well. Cats will let you know when they are done being petted. 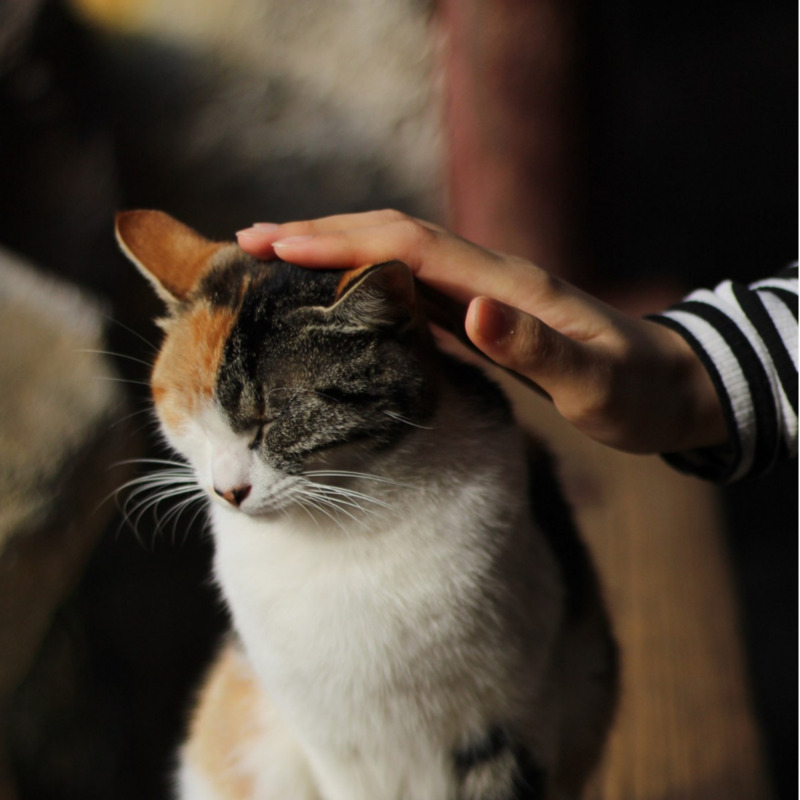 Their tail usually starts to flick, their ears are pointed back, and they will look like they are ready to leave—so let your cat move on when they tell you they are done being affectionate. Does Putting Cats in Timeout Work? Cats do understand what at timeout is. For instance, my kitten was bullying my adult cat. Even though the two have adequate space and territory, out kitten would chase and bully our older cat frequently. I found two techniques to be effective. When your cat is acting out, find a way to separate them from the environment that allows them to misbehave. Our adult cat was able to free-roam the rest of the house and leave her scent. Our kitten was able to calm down her play-chase instincts. Our two cats had adequate time to separately calm down and regroup. Timeouts are especially good for overly excitable cats. You want to make sure, though, that you are not stimulating your cat in play and then abandoning them. 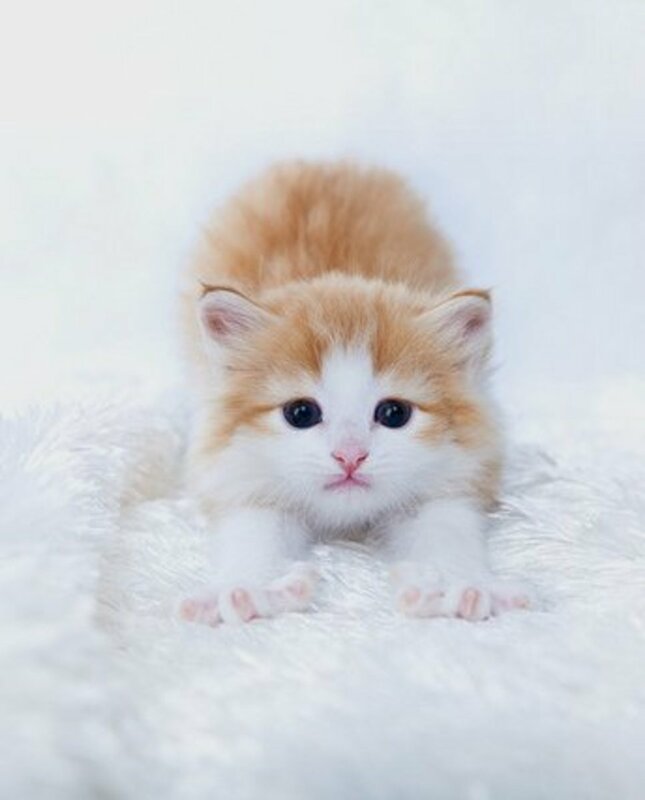 All cats need time to wind down from play, so it is not advised that you give them a timeout when they are anticipating interaction. I used this technique to get my older cat and kitten comfortable with one another. I take several highly-valued cat treats and invite both cats over. I toss the treats (4-5 pieces) in small piles out across the floor to create a grazing pattern—be sure to offer each cat a fair amount in a decent amount of space at a distance they feel comfortable. They learn to graze around each other without feeling challenged—it helps them bond. In most cases, your cat is acting out because of some kind of environmental upset, but it is important that you rule out a health issue with your veterinarian. Often times, cats will mark because of competition for territory or displeasure with the litterbox setup. 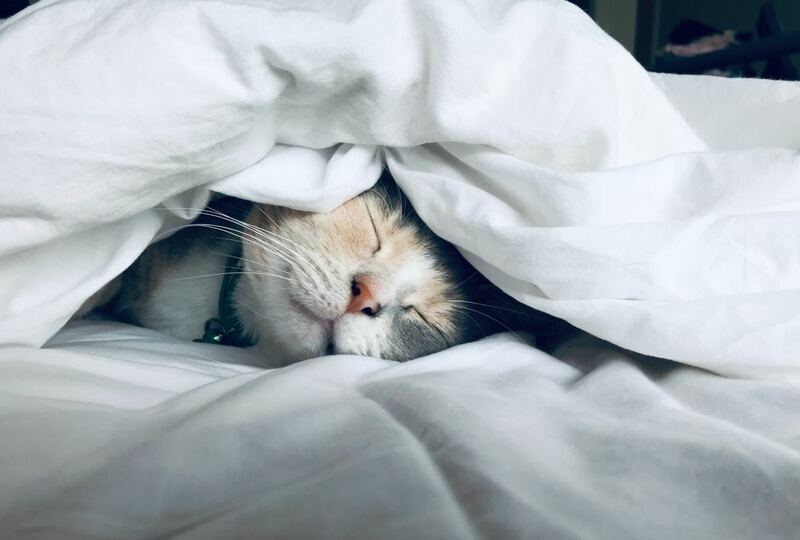 You can neutralize territory by using a product like Feliway—these products disperse feline appeasing pheromones into the environment to calm your cat. There are several available and they come as sprays and diffusers. 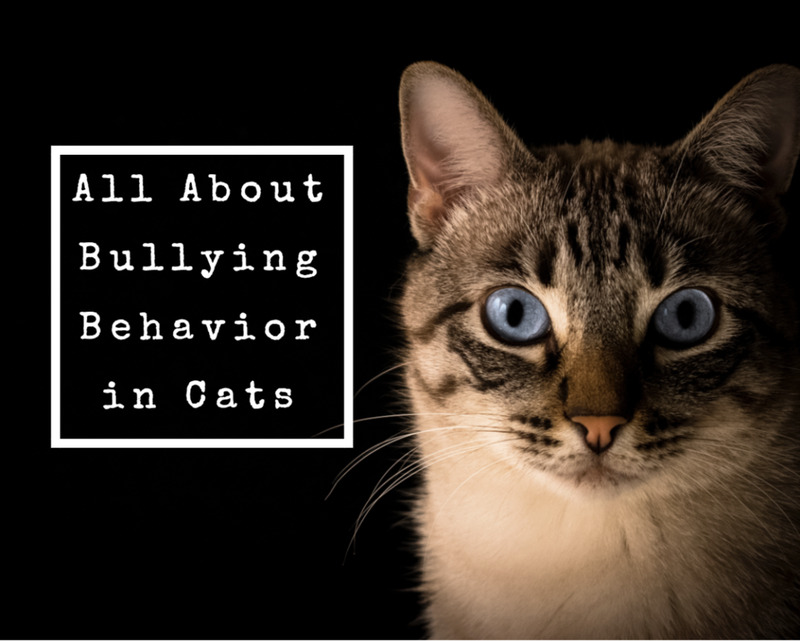 There is the classic Feliway which helps to reduce problematic behaviors like urinating on furniture and scratching, but there is also the multi-cat household product which can help with bullying, as well as a travel spray. I used Feliway when I worked in shelter medicine with stressed cats and I also used it for my kitten when she was extremely hyperactive. It helped her settle down at night. Never spray it directly on your cat and allow it to dissipate in a room for at least 10 minutes before allowing your cat in. Noise deterrents can be effective, but they should be used cautiously as not to startle your cat and create an anxious environment. You should also use them cautiously so that your cat does not associate you with the "punishment." Otherwise, you risk damaging your relationship with your cat. I would only recommend these deterrents when your cat is in danger. In all other circumstances, you want to remove the trigger. Noise makers: Some people suggest using a soda can with pennies in it, which in my opinion is too loud, but you can use other things like a percussive device (egg shaker) or something attention-grabby. 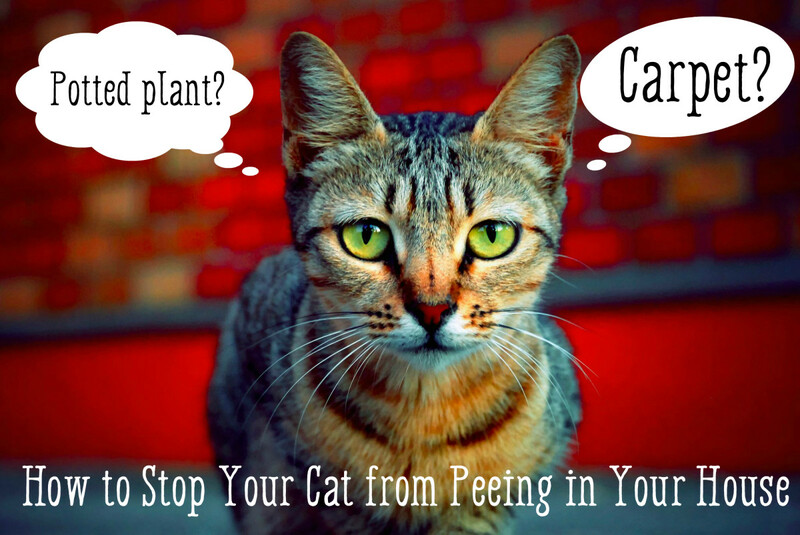 You want to shake it when you see your cat digging in a potted plant that is about to fall off a shelf or chewing wires that are plugged into the wall—something clearly dangerous. Spray bottles: Some people swear by spray bottles. They do work, but they can also create fear. I would only use this if, for instance, you have an extremely curious cat that has a habit of doing something dangerous—like approaching a fireplace or a candle. Of course, you don't want to leave your cat unattended, but you can use a squirt of water to deter them (never spray them in the face). Be sure to be sly about it—that is, you don't want your cat to know it's you spraying. Spray your cat when they approach the hazard in the leg. They will figure it out. Tape: Cats hate weird textures and sticky things—tape especially. If your cat is scratching furniture, you can purchase special sticky tape or use masking tape to line the furniture to prevent scratching. I also recommend getting your cat's nails trimmed regularly and making sure they have scratching posts available. Physical barriers: If you need your cat to move, use a neutral object to scoot them—never use your hands. You do not want your cat to associate your hands with punishment or else your cat will redirect on you. Use something like a rigid piece of cardboard to "scoot" your cat off the counter, or use something like a broom to sweep the floor upon which you want your cat to move. Better an inanimate object than your body or hand. 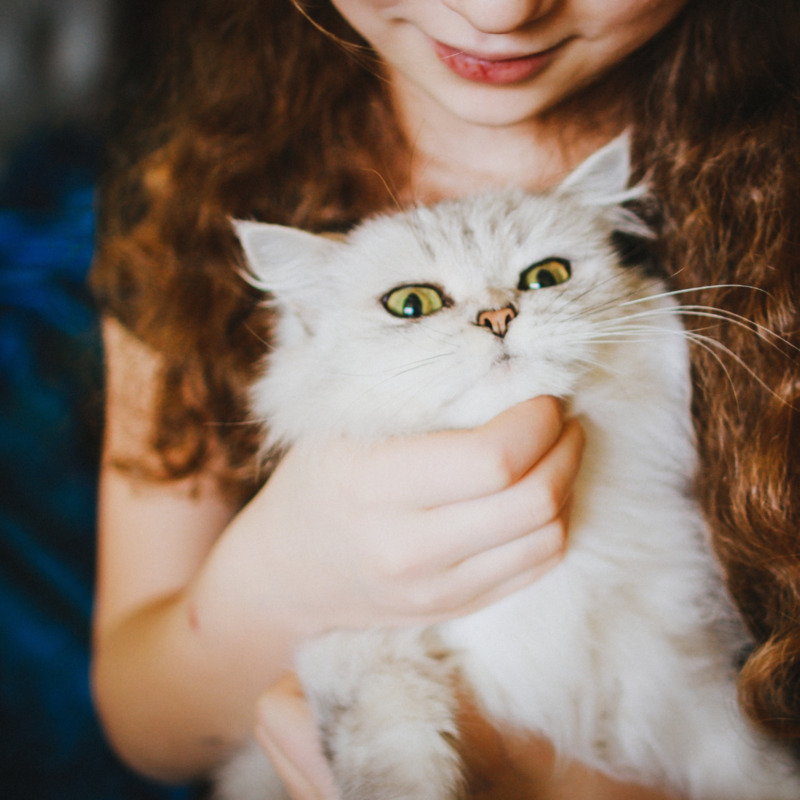 If you are providing the necessities, and your cat's behavior has really gotten out of control, you may want to consult with your veterinarian or a certified cat behaviorist. Behavior modification therapy is always best. Feel free to ask questions below. Yes—cats can walk on leashes. Training your cat to walk on a leash or harness comes with its advantages. Learn how to acclimate your cat to the process so you can get out there and enjoy nature together. Do not attempt to reproduce the stunts below. Papi Kitty sounds amazing Ana! This is true, I feel like cats that grow up around dogs tend to exhibit more "canine" behaviors. Our dog even tries to play with cat wands and cat toys that our cat enjoys and doesn't quite understand why it's supposed to be fun. So cute! Thank for sharing! Papi Kitty is a cute name! Tranquil, thanks so much for sharing! This is TRUE! We tried several different litters with my found kitten (she was a stray) and she finally took to one type—unscented wheat. She's been fairly adaptable, but yes indeed, cats are very particular about EVERYTHING. I admire them for it. I love both dogs and cats, but cats are pretty good at getting their way. Interesting that your cat was surrendered for not getting along with the others—we are still dealing with the age gap between our 1-year-old and 5-year-old. Our kitten gets along with the dog wonderfully, but the two cats are polar opposite personalities. Oh, the wild world of critters! Thanks for sharing your tip on trying a gentle type of litter for sensitive paws. Good article. Litter box issues are very tricky. I have a 7 yr old long haired cat that is a total princess.She was surrendered because she didn't get along with other cats. I've never encountered such a finicky cat. I had to try 3 types of litter before settling on regular non clumping clay in an uncovered litter box. She'd limp about & sometimes poop around the house. Naturally we thought it was because of a health issue. But the vet found no problems. I tried someone's advice & bought a "softer" litter, pellets made of recycled paper and she loves it. I guess she has sensitive paws. Just sharing here in case some one else has this issue with their cat.